What products are targeted most often and why? Where are the most common areas with high incidence of theft? What patterns and industries do we need to look at? What strategies and methods are being used by criminals? How can shippers deter cargo theft in warehouses, shipping yards, and during transit? 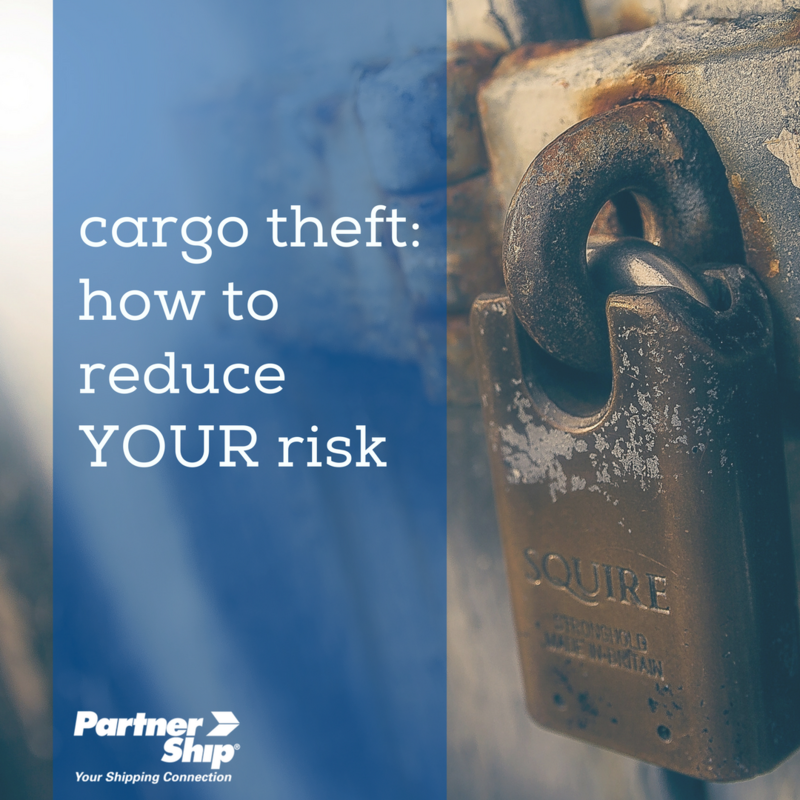 Cargo theft is a scary reality for shippers across the United States, and statistics can be overwhelming. PartnerShip is by your side through your shipment’s journey. As your trusted logistics provider, we work with vetted and reliable carriers committed to the safety of your freight. We offer tracking and follow-up through your entire shipment transit time, to be sure everything is moving smoothly and on schedule. Visit Partnership.com/WhitePapers for more helpful shipping information or give us a call at 800-599-2902!